Everything’s apples with Opie Bosson ahead of his comeback to race-riding at Hastings on Saturday. The champion hoop had just finished his daily workout and was munching on an apple when New Zealand Racing Desk caught up with him on Thursday. It’s clear Bosson is ripe for his return, he’s eating properly and has lost 10 kilograms in the past five weeks after admitting he let his weight get away on him during his winter recess. 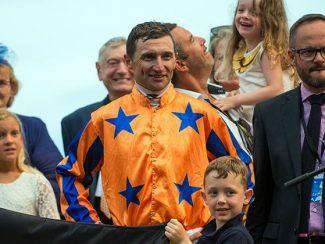 He attributes his return to riding weight to the encouragement of David Ellis, the boss of Te Akau Racing, to whom Bosson is a retained rider. “After Melody Belle won on the first day at Hastings, I met with Dave and we sat down and sorted out a programme,” Bosson said. Bosson admits it was frustrating watching Te Akau’s glamour mare Melody Belle win the Gr.1 Tarzino Trophy (1400m) and the Gr.1 Windsor Park Plate (1600m) at Hastings without him aboard but at the same time was rapt for successful jockey Shafiq Rusof. “It was a little frustrating because it would have been me had I not let my weight go but it was good to see Shafiq get those wins. 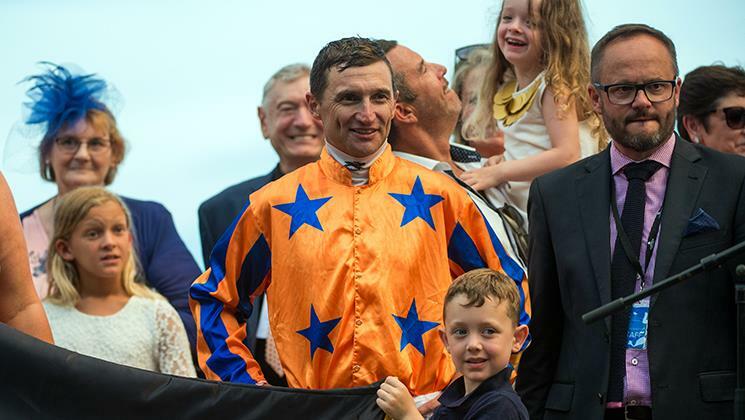 He’s a top-class rider and he deserves every success,” Bosson said. A winner of 60 Group One races, Bosson heads to Hastings to ride the Jamie Richards-trained Our Abbadean in the Gr.1 Livamol Classic (2040m) and his most recent Group One winner Sword Of Osman in the Gr.2 Sacred Falls Hawke’s Bay Guineas (1400m). “I thought Our Abbadean was one of the runs of the race [for fifth in the Windsor Park Plate]. She came from last and got held up making her run,” Bosson said.